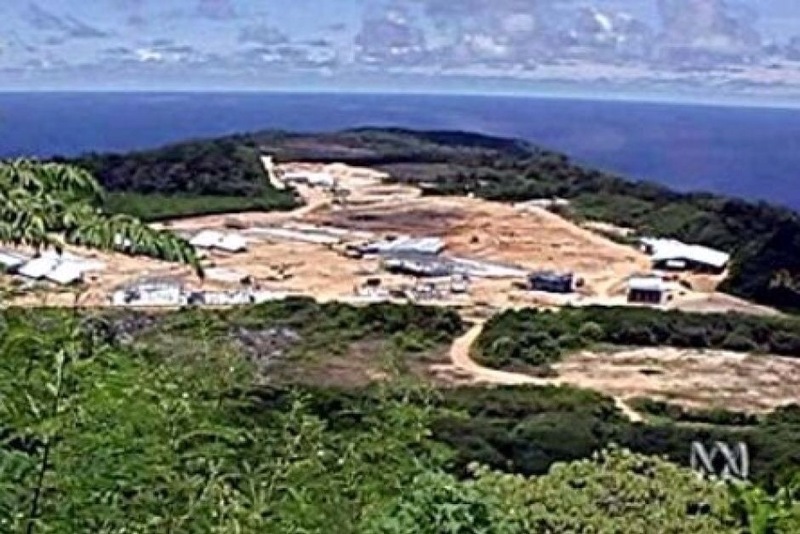 The “Guardian” reports on a detailed litany of sub-standard medical care at Christmas Island. A few years back I signed up to work for a short time as a doctor caring for Asylum Seekers detained on Christmas Island. I went with every impure intent. Indignant over my country’s conduct towards refugees, I headed to the island determined to observe, to record and to betray: I would witness wrongdoing and I would expose it. But I signed a Confidentiality Agreement: now my lips were sewn. So I would have to resort to allegory, to obliquity, to any literary device to tell unforbidden truths while avoiding forbidden fact. And of course I had every right to report on my own state of mind. In the event the Administration thwarted my plan: I saw no wrongdoing, detected no bruises, smelled nothing: nothing to report. Stolid unimaginative warders ran a barely decent prison. Good nurses, skilled young medical colleagues, experienced mental health nurses were on hand to attend to generally healthy, universally miserable patients. Keeping the system honest from the outside, the Red Cross visited and the Australian Newspaper snooped. And we servants of the nation did everything by the book. We followed all the rules and Conventions. We – the system now incorporated me – we kept Australia’s nose clean. Assiduously, conscientiously, courteously, with perfectly consistent meanness, we kept our clients (they weren’t patients, my true client was the Government) we kept them healthy, we kept them confused, we provoked them by systematic delay. Australia’s impeccable gulag calibrated its practices to equality with the countries of origin. We managed to be just as cruel without raising a bruise. Meanwhile, doctors were drinking every night. One guard took his own life, another attempted suicide. One mental health worker was dismissed for ‘fraternising’. In fact, she visited her 18-year old client who had been held incommunicado for 36 hours in a psychiatric ‘facility’ (lovely facile word, drained empty, morally bleached) in Perth. She understood her authority ended once she delivered her patient to the Psychiatric Hospital, but his need and her care did not. I returned to Australia proper and resumed my life. Back now with family, a free person, a citizen, surrounded by comforting supports, I found I had brought the island with me. Contaminated, implicated by national service in unkindness policy, I was troubled by dreams. Night after night, in darkness and unable to speak, I saw myself doing things I had not actually done. 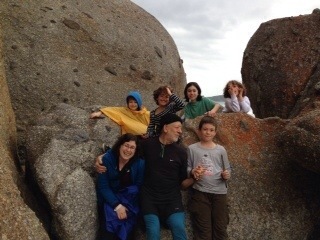 Wilson’s Promontory – where the Australian mainland gropes south towards Tasmania and the Pole. Wilson’s Promontory – in whitefella parlance, “The Prom”; to blackfellas, “Wamoom” – a place too special to live in, reserved for ceremony. The Prom – a place sacred to whitefellas who do not reside there, vacation nomads. Wilson’s Prom – where generations come and keep coming, where they need ballots to winnow the applicants; we who apply – we are the grass. Wilson’s Prom – where four generations of my family have wintered and summered, most of them beyond remembering. Some of my family spent this (prolonged) weekend at the Prom, both saplings and old growths, across the generations and down: two grandparents, their niece from Boston, her two children, the three children of our firstborn – all of us in that heightened state of aesthetic rapture as rugged mountains meet a moody sea. 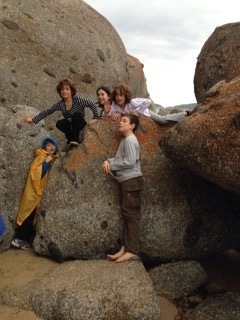 We hiked and climbed great rocks, we jumped from them onto sand that squeaked, fell from them and upon them. We collected water from a mountain spring, we crossed small rivers and we peed into them, we ate and we ate, we read stories from the Jungle Book, we played chess and Scrabble and board games. Ten years ago, I wrote a poem here, memorialising a whale and my father, then one year gone. Comes remembrance, a fifth element. Once upon a time a redheaded warbler sang a song to a crowd of people gathered to hear her and readings from a book about two redheaded twins. As she sang the crowd chewed on antithetical foods – carrots and Jaffas, small, red spheroids of joy. The singer was Clare Bowditch, songwriter, mother of twins-plus-one, social activist, actor, philosopher and articulate introspector. The reader was Howard Goldenberg, author, marathon runner, marathon eater, marathon talker. He read (affectingly) from his new book, a novel about “Jaffas” and his identical twin “Carrots”, two boys who grow with souls enmeshed. One is kidnapped and the two must struggle to find how to lo live as individuals. 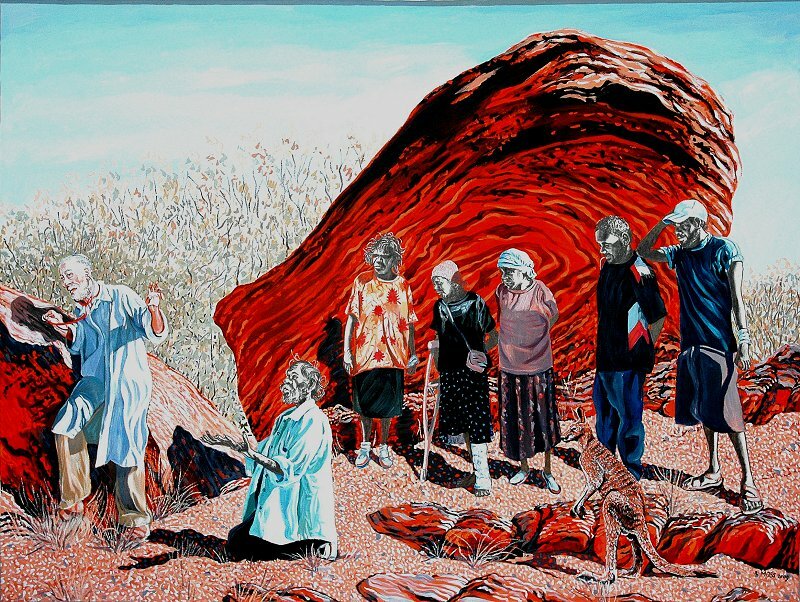 The author makes them and their parents suffer; he makes the reader suffer; and after adventures in the Aboriginal outback (in ‘country’), Howard allows all (or almost all) to trace an arc of redemption. The crowd had come to Readings in Glenferrie Road, Hawthorn, not to eat lollies, nor to chew on root vegies, but to hear and see Clare, to be near her in the intimate space (one of Melbourne’s sacred sites) of Readings bookshop. Why Clare? Becauser of her twins? Because of old friendship between singer and author going back to her teen years? Because the singer – like the boys in “Carrots and Jaffas” lost a sibling in early childhood? Because of red hair? As Emily Dickenson says: I like a look of suffering/because I know it’s true. Clare Bowditch sings true songs. In the same way “Carrots and Jaffas” is a true story. After my experience last Sunday I’ve decided I like Mothers Day. I enjoyed sharing vignettes of my old Mum. One of the first that I ever published, appeared in my first book, a memoir which I called “My Father’s Compass”. The vignette, a story about my 92 year old father battling the extinguishment of his great powers, and my mother battling nothing and accepting all, was titled: Falling gums. “The phone rings at midnight. I walk towards the answering machine and listen for an urgent message. I do not pick up the receiver because it is Friday night, my Sabbath – Shabbat – when my soul visits paradise. When I am in paradise I do not answer the phone. There is no message. ‘I’ll come now,’ I say, and hang up. Dad and I have responded to the situation with the least possible desecration of the Sabbath. Minutes later I let myself into my parents’ house. There, on the bedroom floor, in a tangle of limbs, is my mother. ‘Hello darling,’ she says. She looks up at me and gives me a grin. Recently, Mum’s front teeth have begun to desert her. Those teeth that remain are a picket fence, stained and in disrepair. Mum’s former serene smile has given way to a seven-year-old’s grin – all mischief and careless abandon. I peer down at Mum’s legs. They are thin, too thin, except for her ruined knee which is swollen and misshapen. In the half light her skin is ivory. I crouch and put my hand on her leg and feel its cool and its smoothness. I touch my mother’s skin and I am her small child again. Dad’s voice subsides. He sits on his bed and holds his head in his hands. Mum speaks: ‘I’m quite comfortable, darling. It’s quite a nice floor, really.’ Another grin. I look at my mother. Her limbs are splayed and folded beneath and before her like so many pick-up-sticks. I wonder how I will pick them up. ‘If you wish, darling.’ She extends a hand and pats my face. I bend and begin to take her weight, my hands beneath her arms. Dad gets up to help but I knock him back because his heart is worn out and failing. He recoils, recedes and sits down opposite me, his face wrought of grief and care. I feel a pang for my abruptness. An in-drawing of breath, a grunt and Mum is aloft, her legs a pair of white flags hanging limply beneath her. Her arms are around my neck and we are locked in our accustomed embrace that has become so familiar since she began to suffer a series of strokes. We know this moment well; each of us knows the sweetness of this slow dance. Neither of us would readily trade it, not even to make Mum whole again. A moment later Mum is in her bed, covered up, wheezing, speaking breathily, her voice ravaged by stroke and by time: ‘Thank you, darling, what a treat!’ – and beaming with the simple pleasure of ­being tucked into her bed. 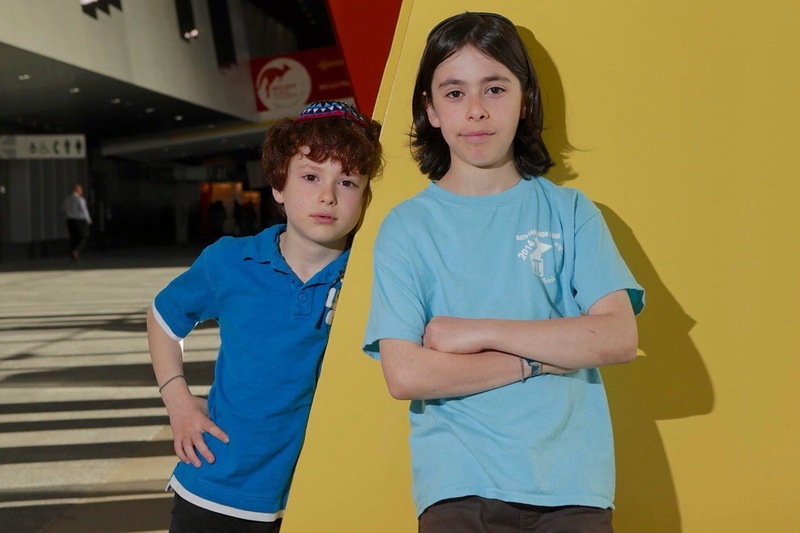 ‘Shabbat Shalom,’ I say, kiss them both goodnight, and go home. My dreadnought father has fought all his sixty-seven years as a doctor against illness and injury. Of all diseases, I know that cancer and stroke fill him with terror beyond naming. And I recall, too, Dad confiding to me his fears for Mum: ‘I am grateful for every single day that I have her; and I am so frightened of the day that …’ He falls silent, his voice drowning in the grief of his imagining. The day after the ‘fall’ Mum and I are alone in the kitchen when she begins to laugh. The sound has a gasping quality. You have to pay close attention to discover whether she is choking again, or simply amused. She laughs louder then tries to speak at the same time. Climbing down from my lofty position of cultural oversight into the kitchen of my own life, I can identify a serious gap: my mother and I have not spoken to each other for almost five years. In my kitchen of now, I fry tomatoes and eggs and red kidney beans with onions fried in oil with garlic and smoked paprika and cumin. I serve this and avocado bathed in fresh lime juice and garlic-infused olive oil on a mountain of fresh bagels and specialty breads. 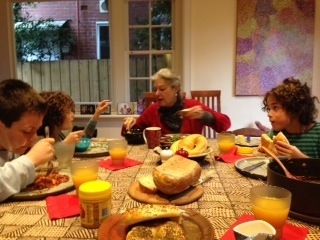 All is prefaced by a glass of orange juice squeezed by my grandchildren. We serve this to the children’s grandmother and great-grandmother. Everyone gives gifts, festoons and cards (handmade, unHallmarked) to the old ladies. And I watch, a non-combatant. I look at my mother in law, fulfilled, filled with years. I come in, in from my chill principles, and I celebrate with them all. *I’ve always felt the same away about Fathers Day and Valentines Day too.